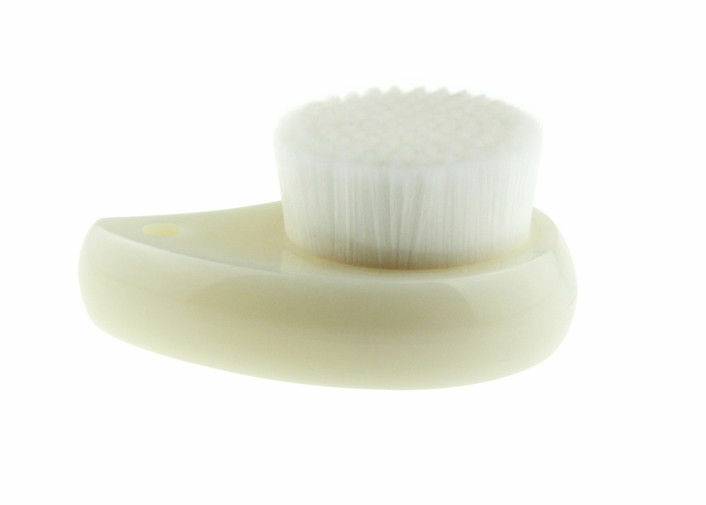 Creamy-white plastic handle, good handle feeling. Soft white nylon hair, easy for cleaning. Good quality, not easy to drop hair.